Brunello Cucinelli variegated wrap necklace. Lariat drops loop through circle. With every purchase Akola reinvests 100% of profits to empower women and families in poverty. 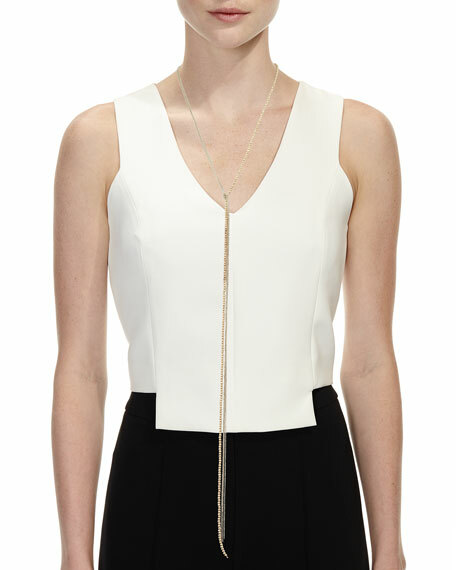 Akola chain and tassel lariat necklace. Polished yellow golden brass hardware. Gray dyed freshwater cultured pearls. Cable chain with raffia tassel ends. Labradorite and druzy stones. Wraparound style. Approx. 50"L. Made in USA. 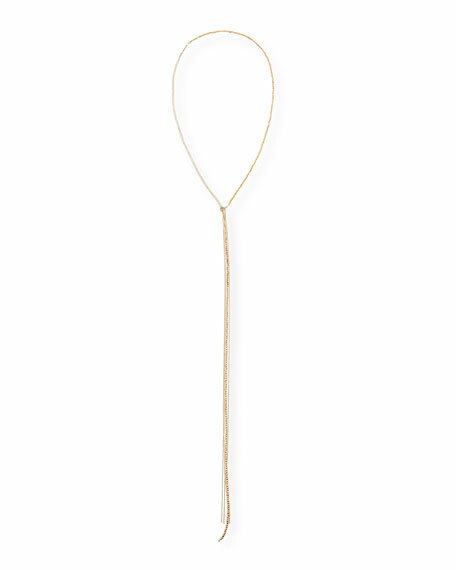 Beaded lariat tassel necklace by Alexis Bittar. Polished 10-karat gold plated brass hardware. Synthetic coral and lemon chrysoprase beads. Mixed, multi-size beaded strand with tassel. Adjustable; lobster clasp. Approx. 20"L. Made in USA. John Hardy necklace from the Naga Collection. Polished sterling silver multi-strand lariat chains. Naga dragon clasp with blue sapphire eyes.